On the occasion of the UN Climate Change Conference (COP23) held in Bonn in November, the German Federal Foreign Office and the city of Bonn will host the exhibition "The United Nations in Germany and the 2030 Agenda" from October 5 to November 25. 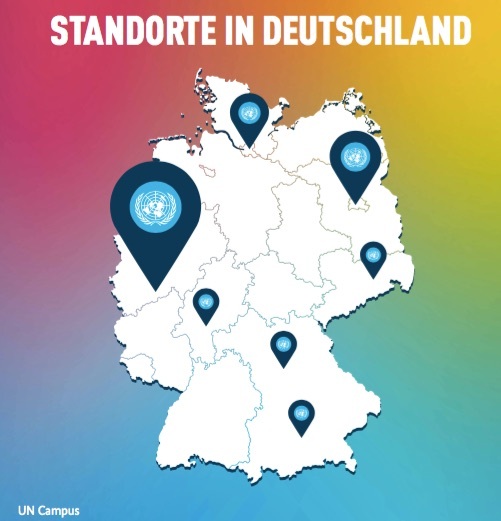 The exhibition provides information on the work of UN-organizations based in Germany and their efforts in the fields of sustainability, climate protection and research. A special role is dedicated to the SDG Action Campaign, which operates from the history-steeped Bonner Haus Carstanjen to bring the seventeen Sustainable Development Goals (SDGs) of the 2030 Agenda closer to the citizens of the world. The seven-week exhibition will be officially opened during a press conference tomorrow at 1 pm, in the Stadtbibliothek Bonn and will be hosted by Ingrid Jung, Ambassador and Head of the Bonn Liaison Office of the Foreign Office to the UN campus in Bonn and to the International Organizations in Germany and Stefan Wagner, Head of the Department of International Affairs and Global Sustainability of the city of Bonn.